When my friend Heather changed her Facebook status to denote that she was playing Super Mario Bros 3 on the Wii, it prompted me to dust off my Game Boy and start playing it again myself. Around the age or 13 or 14, I played the game religiously until I conquered it. Back then, while I had no commitment to homework, I did labour over the challenges I faced in the Mushroom Kingdom and wouldn't rest until I returned prosperity to the land with the assistance of a plumber. As an adult, while I enjoy playing the game, I really can't be bothered struggling to figure things out (though I remember an awful lot) or dreaming solutions in my sleep (that's successfully happened a few times) so I was fortunate enough that when I got a Game Boy Advance for my birthday a few years ago (I needed it to kill the hours I would spend bored at a merch table in various clubs) that it came with Super Mario 3 and a bible for game play. 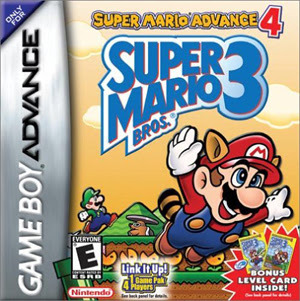 The guidebook provides a step by step outline of every level of the game along with the location of every hidden 1UP, warp whistle and beanstalk. Of course it would be no fun to play staring at the book, eliminating the challenge, but when I'm stuck, it's nice to have it as a reference. I was marveling over the joy of having this at my aid yesterday when I realised that the Super Mario 3 bible lives up to what it's supposed to be better than THE Bible. It provides us with a clear and accurate guide to how to achieve the things we are aiming to do (in this case, clear the game and unlock as many secrets as possible) and there is no dispute as to the accuracy and validity of the information. It has been re-written a number of times, but the result is always the same and the results have been enjoyed in harmony by people all over the world which is more than I can say about THE Bible. Somewhere along the line someone wrongfully attributed the title of "bible" to something that actually exceeded to capabilities of the work from which the name was derived. The phrase to "take if for gospel" is another aberration as the four gospels do not find complete solidarity when painting the life of Jesus. As we all know, Super Mario 3 is not the only pastime which has been attributed a bible. 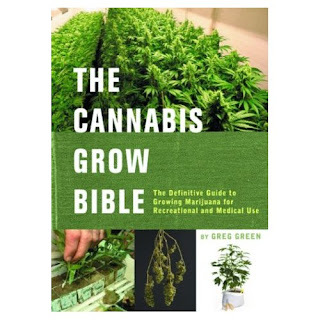 There are bibles for all manner of interests such as cake making, swim coaching, bridge playing and cannabis growing to name a few. While I'm sure that with any such book, there will always be a disputed theories and some misinformation, they tend to be more straightforward and less disputed than THE Bible. I also daresay that you wouldn't find completely opposing views contained in the same book, if not only to illustrate other schools of thought in a matter. The same cannot be said for THE Bible which contradicts itself often. Bible - 1. the collection of sacred writings of the Christian religion, comprising the Old and New Testaments. 4. (lowercase) any book, reference work, periodical, etc., accepted as authoritative, informative, or reliable: He regarded that particular bird book as the bird watching bible. The actual Bible, with all it's confusion, inconsistency and inaccuracy isn't actually a "bible" of anything. I vote we either simply make "bible" lower case and use it exclusively as a noun to describe an authoritative book on something, rather than a noun for a book which does not meet that criteria, or we stop using the word "bible" to describe a definitive work. Something's got to give.